Reports have started coming of the sad news that distinctive British actor Alan Rickman has passed away. The Guardian was the report his passing. The film and stage veteran had one of the most memorable and striking voices in film history, of which was used to often chilling effect in his most iconic roles (that of Hans Gruber in the original Die Hard and Professor Snape in the Harry Potter franchise. Rickman suffered from cancer and passed away at the age 69. Eerily, icon David Bowie died of similar causes and at the same age mere days ago. With a film career that spanned over four decades and featured acclaimed performances both on stage, film and television, Rickman was of a class all his own. The Golden Globe, Screen Actors Guild, Emmy and BAFTA winning performer made one of the most striking film debuts perhaps of all time with his role as villain Hans Gruber in the Die Hard (1988). Other film highlights throughout his illustrious career included acclaimed turns in Anthony Minghella’s Truly Deeply Madly (1990), 1991’s Robin Hood: Prince of Thieves (for which he was awarded a BAFTA), Tim Robbins’ political comedy Bob Roberts (1992), the Oscar winning Jane Austin adaptation Sense and Sensibility (1995), Galaxy Quest (1999) and Love Actually (2003). Rickman also wrote and directed two feature films- The Winter Guest (1997) starring Emma Thompson and A Little Chaos (2015), a period romance that starred Kate Winslet and Matthias Schoenaerts. 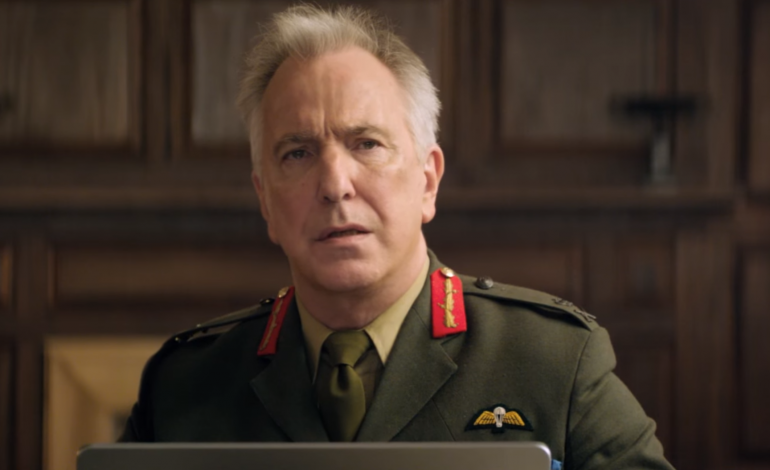 Rickman most recently appeared in the comedy Gambit starring Colin Firth and essayed Ronald Reagan in Lee Daniels’ The Butler. Two more films remain to open- a co-starring role in the thriller Eye in the Sky directed by Gavin Hood (Rendition) and a vocal performance in Alice Through the Looking Glass.